"I was compensated for this BlogHer Book Club review but all opinions expressed are my own." 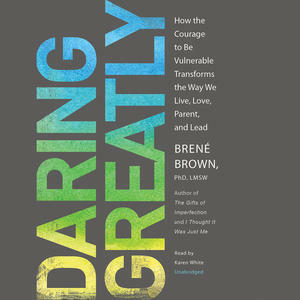 The latest Blogher Book Club book is Daring Greatly by Brene Brown. When this book arrived on my desk I have to admit I gave an outward groan when I realized it was a self-help type book. Then I started reading and suddenly the name Brene Brown was all over the place. Random blogs I read, radio shows, even television shows. Only 15 pages into the book I had to stop and grab a highlighter. I needed to highlight something that I found so profound. I never put the highlighter down. My copy of the book is filled with notes and exclamation points. Brown's book focuses on vulnerability and how by allowing ourselves to be vulnerable we are allowing ourselves to dare greatly and live Wholeheartedly. The biggest thing that stops us from being vulnerable and living Wholeheartedly is shame. In this book Brown shows us not only how shame effects us but she gives tools to help build shame resilience. Ways to help us develop a strong sense of worthiness. We can only be loved and belong is we believe that we are worthy of it. This book was so good, and then I got to chapter 7: Wholehearted Parenting. I have re-read this chapter 3 times already. And I know that I will continue to read it over and over. This chapter was not a how-to, or even a specific parenting style. 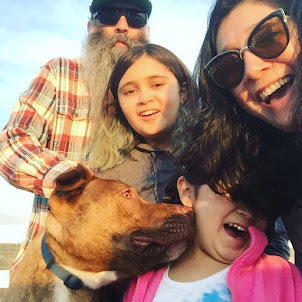 It comes down to wanting to raise kids who "live and love with their whole hearts" and in order to do this, we must learn to live and love with out whole hearts. We must remember that "Who we are and how we engage with the world are much stronger predictors of how our children will do." 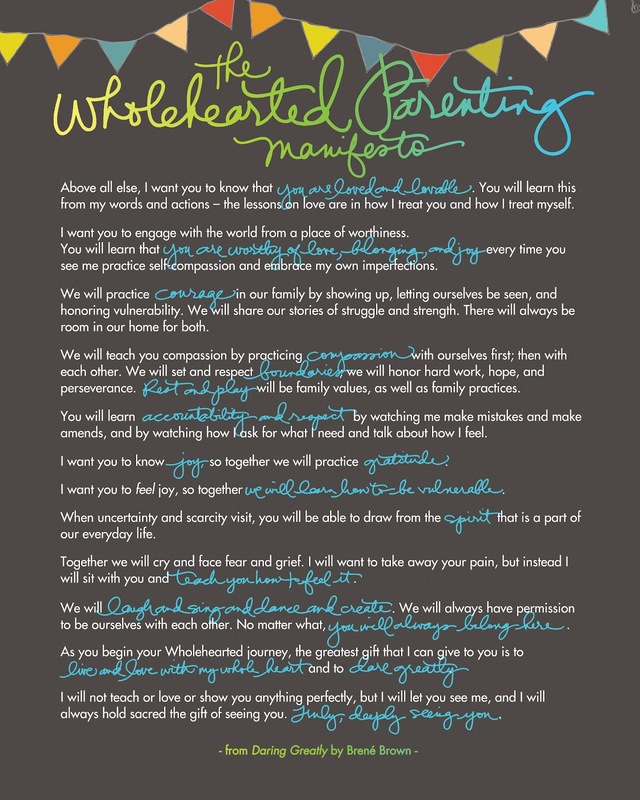 This book taught me so much about myself and about what kind of Mother I want to be. It is a book that I will keep near by and refer to often. This was beautiful! Can't wait to read the book! So happy it came into your life to now come into so many others! Thank you, thank you, thank you!